Parcels is a simple package tracking application, which lets you keep track of all your packages in one place on your Android device. 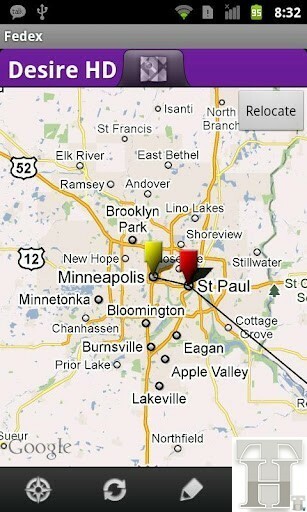 With the integrated Google Maps slider you can easily find out where your packages are. 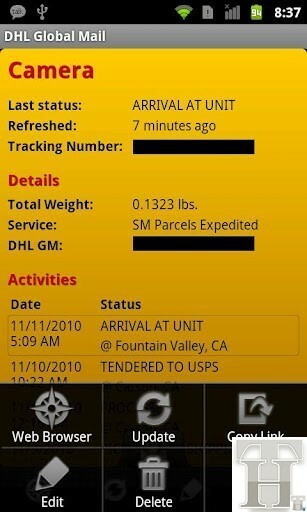 With Parcels you can track any package on Android from almost any carrier. Parcels support almost all major carriers including Amazon, Apple, DHL, FedEx, UPS and USPS. Complete list of supported services are mentioned in Google Play description. Well, you just enter the tracking number manually or scan the bar code after installing the app on your android device. Parcels will start its magic and quickly find out where your package is. 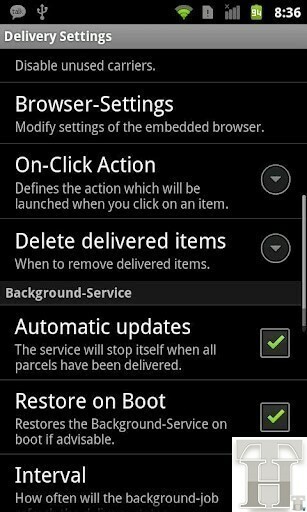 In the preferences you can activate background checking so that the app can update you about the latest status at regular intervals. Or you may check it manually by launching the app. As soon as the package is delivered, it stops tracking the package to conserve battery. Check it out! During my use over the last couple of months I never faced any issue. However, give it a try to see if it works for you. It is FREE and is available through Google Play. Slice is another similar app that fall in this category and does the same job a little differently. It was reviewed here earlier. Slice actually adds some other cool features. Check it out too.